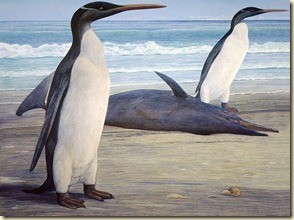 Long-time readers of The Ancient Standard may recall a post from 2007 that discussed the existence of giant penguins in Peru, but also lamented the unpublished data on even larger penguins that were thought to exist off the coast of New Zealand millions of years later. Well, good news! Scientists have finally published their report on these giant “thinguins” that lived 25 million years ago (during the Oligocene period), based on a full skeletal reconstruction of the creature. The penguins are thought to have reached about 4.3 feet in height, which is just slightly taller than today’s tallest living emperor penguins (4 feet). "It’s pretty exciting, we’ve got enough from three key specimens to get a pretty reliable construction of its body size," says University of Otago’s geology professor Ewan Fordyce. 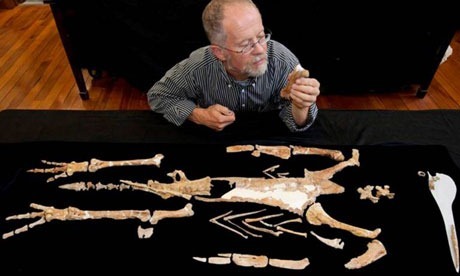 He and his team discovered the penguin bones 35 years ago, and recently teamed up with North Caroline State University research assistant professor Dan Ksepka to create the reconstruction. While they used a king penguin to help build the ancient model, the main difference between ancient and modern penguins is in body composition—where today’s penguins tend to be a little more squat and round, these ancient flightless birds were much more streamlined. Their flippers were long and tapered, with narrow, spear-like beaks, and elongated midsections. 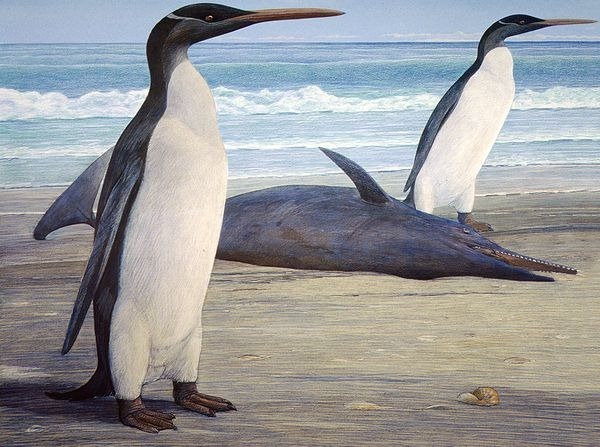 Based on the evidence, it appears that these giant New Zealand penguins lived alongside a number of other penguin species as well, some also giant and some with more familiar body types. Much like the species diversity seen today in the Falkland Islands, they were likely able to co-exist due to different food preferences (thus eliminating or reducing competition for resources). During the Prehistoric period in New Zealand, the vast majority of what we see today was submerged, leaving only small pieces of land above the water’s surface. Similar to many modern species, this ancient habitat of shallow waves, plenty of food, and defensive positioning from predators would have been ideal for these giant creatures. Why did the species become extinct? Likely for the same reasons it happens to other species—more aggressive predators, evolving competition for resources from other creatures, or environmental change. 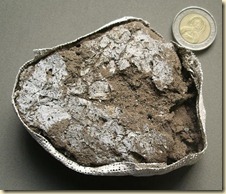 The full study on this remarkable ancient species will be published in this month’s Journal of Vertebrate Paleontology (March 2012). In a cave in South Africa, archaeologists discovered the layered remains of ancient mattresses from around 77,000 years ago—and if that isn’t interesting enough, it turns out modern humans aren’t the only ones concerned about bugs between the sheets! The ancient sleeping mat’s top layer was made with insect-repelling leaves that scientists believe were used to ward off mosquitos, flies, while also killing off lice. This discovery from the Sibudu Cave site means the bedding is 50,000 years older than anything previously found at sites around the world. 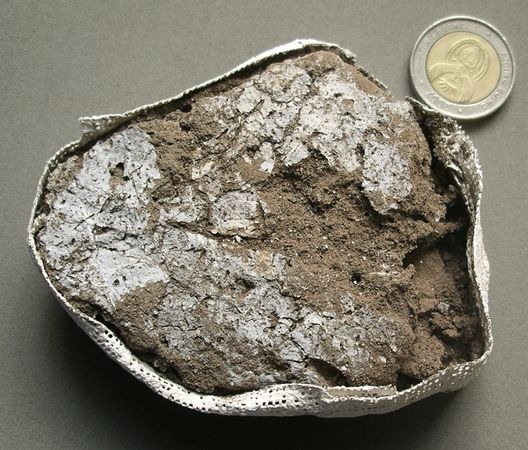 The compacted layers of bedding—accumulated over time during the site’s occupation—show that it was periodically burned, likely to prevent other pests and contamination from garbage or human excretions. 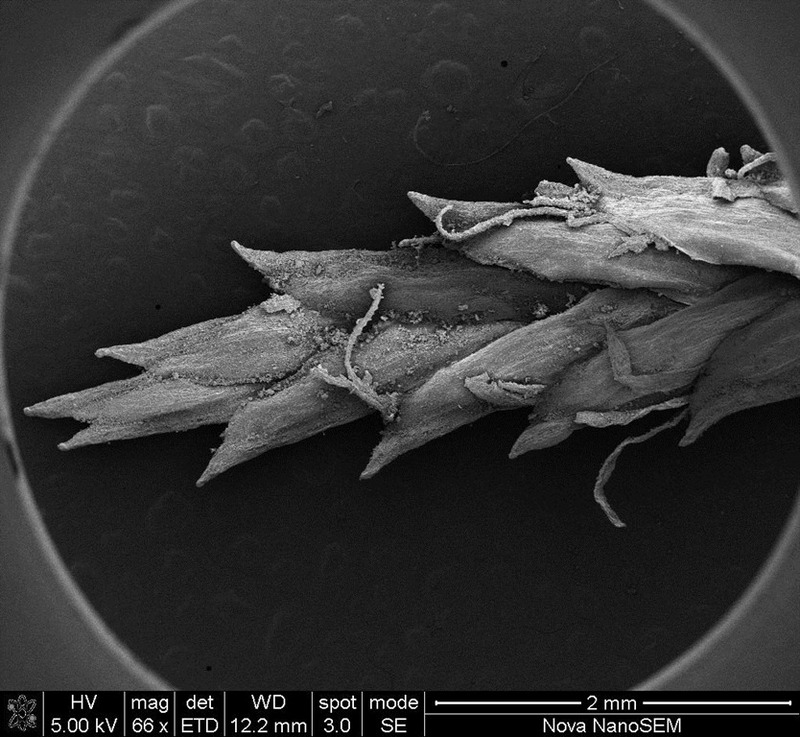 It’s also entirely possible that the insect-repelling plant layer represents the first known use of plants for medicinal purposes by early humans. The leaves of the tree species in the bedding, Cryptocarya woodii, excrete a chemical that repels insects. Lyn Wadley, study leader from Johannesburg’s University of Witwatersrand, has said that “the mattresses would’ve been a very comfortable [and] long-lasting form of bedding. Hunter-gatherers tend to live with each other in kinship groups,” so it’s likely that the beds accommodated a whole family. Although the ancient mattress layers only measured about 2 square meters (and 30cm high), it’s worth keeping in mind that ancient humans tended to be shorter and leaner than today’s average individual. Even if your family couldn’t fit on a space that small—and likely wouldn’t want to, considering the modern notion of “personal space” in Western society—that doesn’t mean humans who lived 77,000 years ago couldn’t sleep there or weren’t comfortable in such close quarters. What were the rest of the mattress layers made of? Various collected grasses, sedges, and rushes… memory foam it wasn’t, but it sure beat sleeping on the cold ground!